Surprise someone with a crazy twist on a classic Easter basket idea! 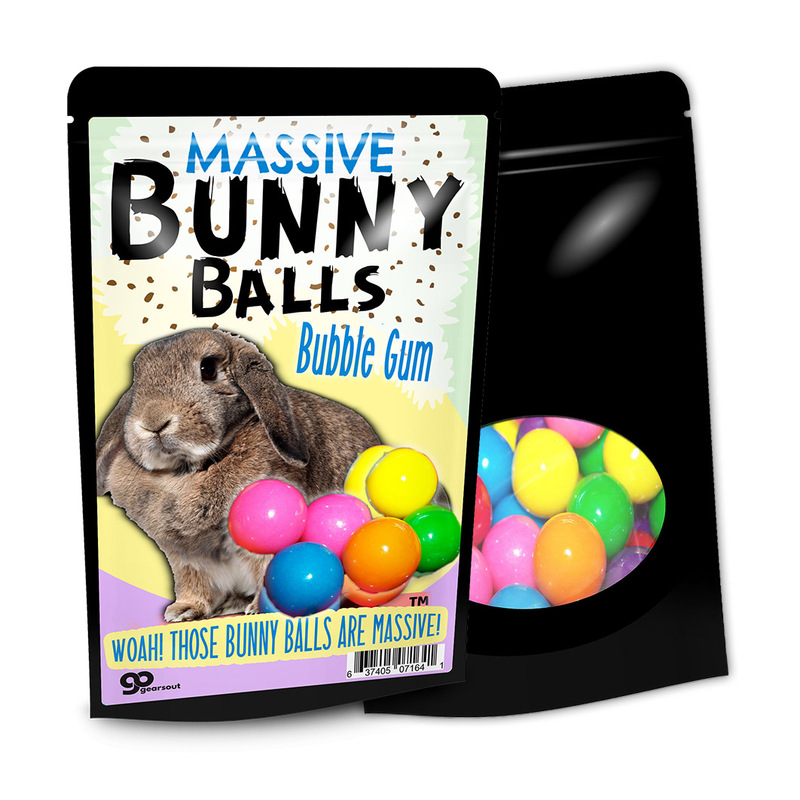 Don’t settle for boring gumballs, when you can give family and friends a laugh-out-loud bag of Bunny Balls Bubble Gum. 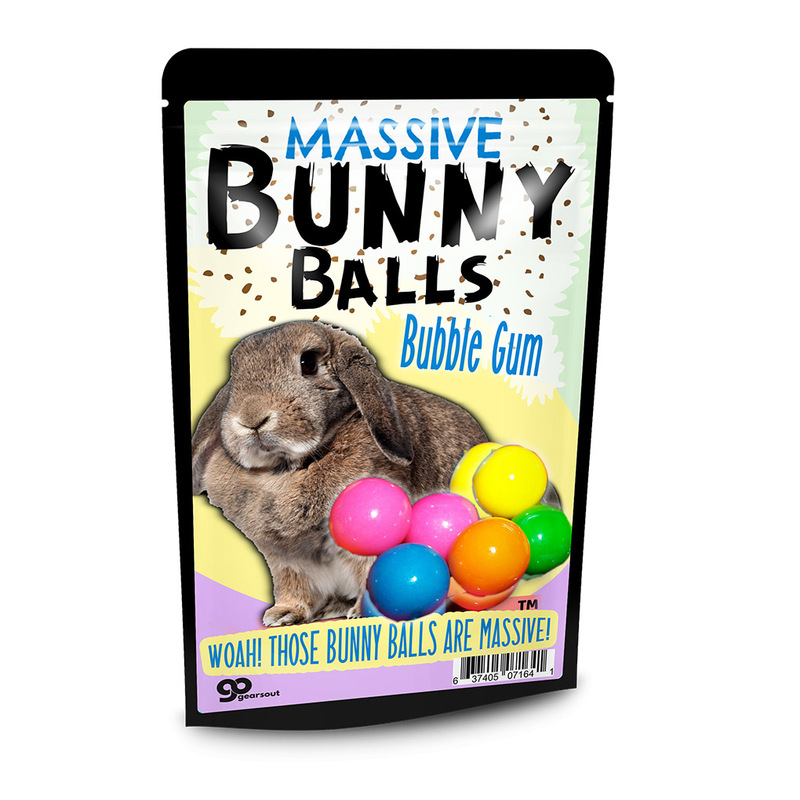 This sweet, fluffy rabbit offers a fabulous little stockpile of colorful bubble gum that will give everyone a load of laughs to chew on. Bunny Balls gumballs are a bright assortment of round and chewy bubble gum. The rainbow colors will have everyone thinking about spring, sunshine, and warm breezes. It’s a bag full of happy, hoppy, silly feelings! 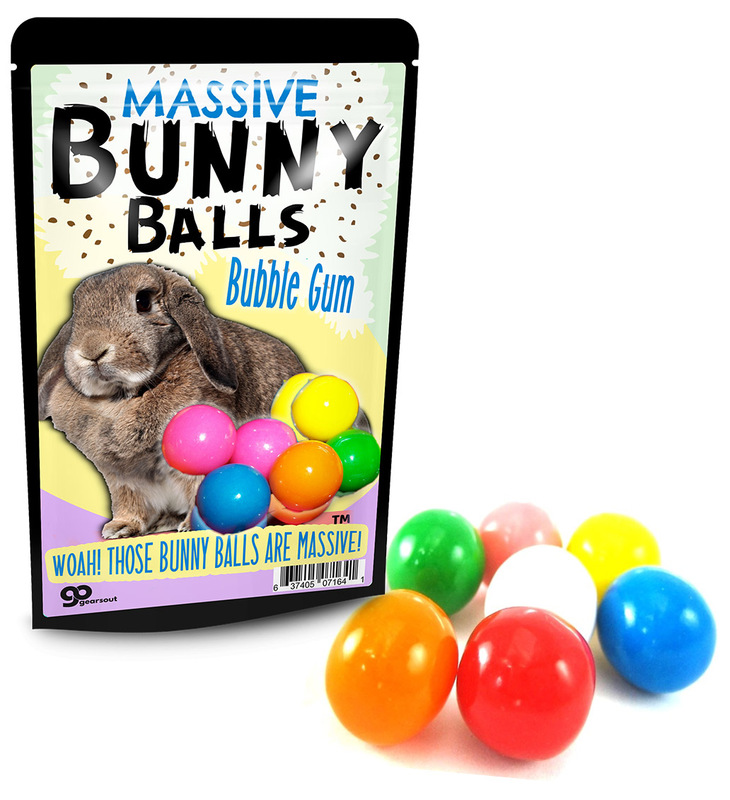 Massive Bunny Balls Bubble Gum is the perfect candy gag gift for the young at heart. 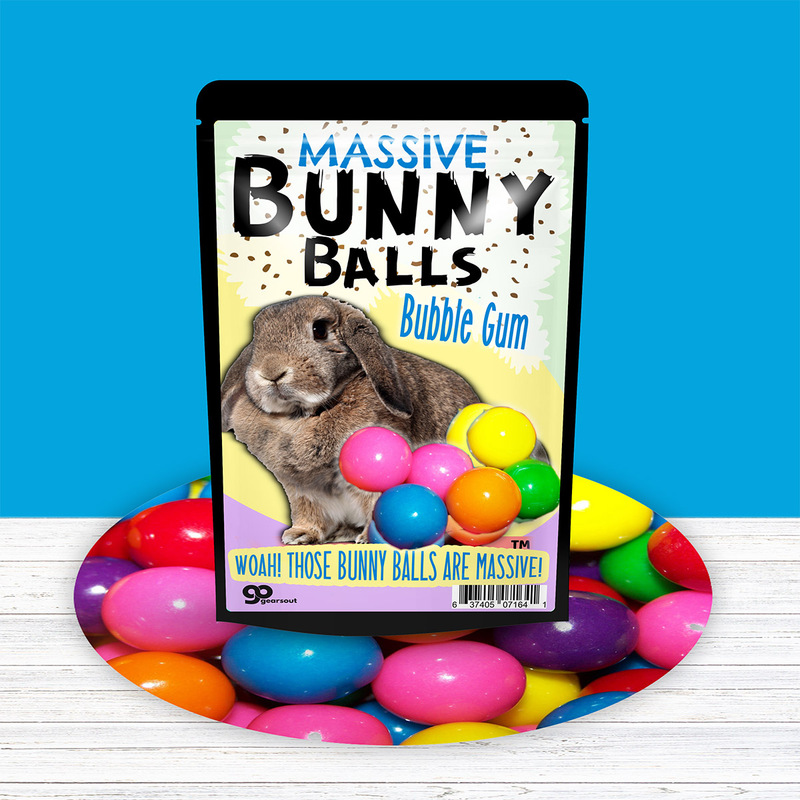 The hilarious design features a funny bunny casually showing off his massive pile of balls – gumballs that is! It’s an adorable, unexpected addition to Easter baskets, holiday care packages, and gift baskets.